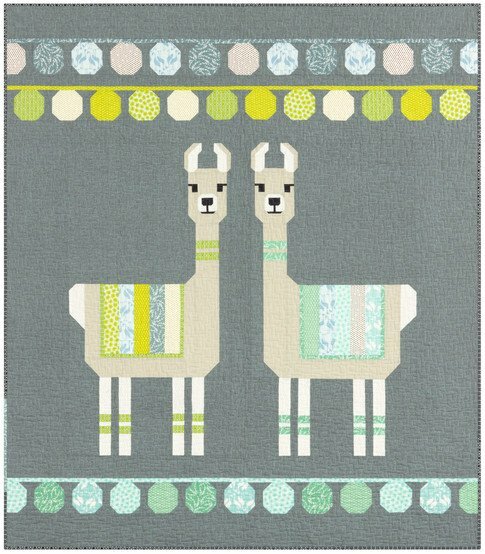 You will love this adorable llama quilt! The llamas are put together using traditional piecing methods (no applique). The large, two llama quilt measures 61" x 70". The pattern also includes a one-llama version and a pillow. Make it super cuddly by backing it in minky! Lloyd and Lola Elizabeth Hartman, and items on the supply list. Be sure to follow the pre class instructions prior to class.